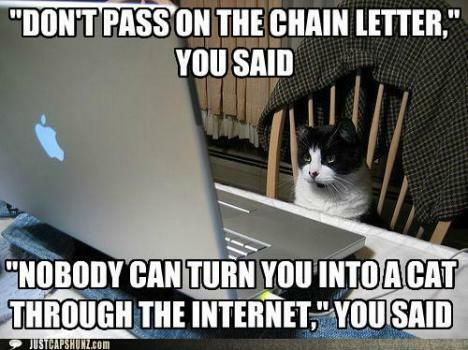 The whole anti-SOPA saga has been hindered by the fact that it’s hard to understand the issues unless you are a geek. For that matter, the whole SOPA sags is an issue because it was written by people who clearly don’t understand its ramifications, and are not geeks. A brilliant idea was born on Reddit which takes the issue and makes it something easier to get the gist of, and in a way that many people will help to perpetuate: the email chain letter. Here, complete with spelling and grammar errors, is what you can copy and paste into an email. Send it to your mom and ask her to send it to everyone in her email list. ATTENTION!!!!! A NEW BILL BEING PASSED BY CONGRESS THREATENS TO REMOVE FACEBOOK!!! THIS DOESN’T MEAN NO MORE FACEBOOK, IT MEANS THE END OF YOUTUBE, GOOGLE, YAHOO NEWS, AND MANY MANY MORE!!!! THIS IS AN IMPORTANT BILL THAT CAN’T BE PASSED BY THE GOVERNMENT BY ANY MEANS NECESSERY!!!!! This scary new bill is called SOPA will censor the internet! This will cause massive damage to what makes the internet so great for everyone! Youtube, Facebook, Myspace, Yahoo, basically the whole internet is upset that Congress would do something like this! This threatens our first amendment rights and MUST BE STOPPED!!! If you think this doesn’t matter, than think about this. The internet belongs to the people and is a great way to get across the message of the almighty! As you and I both know, there are way too many athiests in power right now and I’m sure they would love nothing more than to stop people from spearding the message of GOD! If your a Christian, please stand up for what is right and pray with your family and inform everyone you know and pray with them to that this bill does not make it past Congress! It would not only do great damage to help the spreading of the message of GOD, Jesus and the holy spirit it would hinder all kinds of free speech as well!!! So as you can see SOPA will basically kill the internet!!! Please stand up for your first amendment rights and inform everyone you know!!!! Call your repersentatives and tell them to say NO!!! America is the land of the free and that includes the internet!!!! Spread the word, stop SOPA! 20 years later, people still seek out Crain merchandise, amazingly. 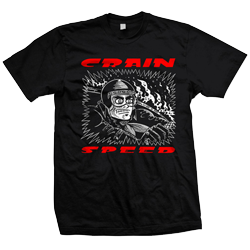 This Shirt Killer site just released new shirts with the artwork from the Speed LP on them. Pretty slick! Go get yourself dudded up and relive a part of the 1991 Louisville music scene. Seems pretty obvious to me. 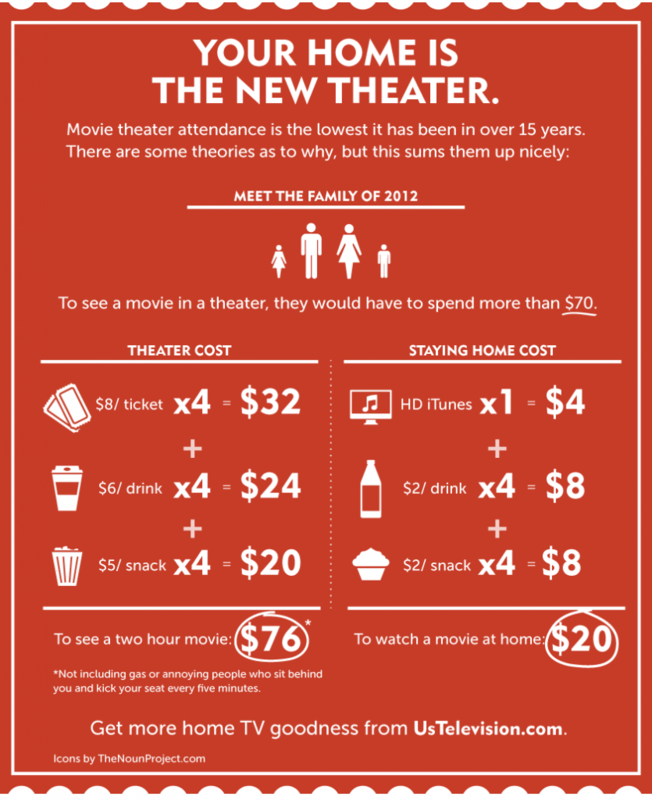 If you factor in how cheap it is to watch Netflix, or how you can often get free movies by way of your local cable provier’s “On Demand” type service, it’s even cheaper to stay at home.